When upgrading a car, what’s the best option to get rid of your current vehicle? Many car owners would like to sell their cars for top cash, but time is tight, and the funds are needed ASAP to upgrade to a newer car. So, what is the best option? Vic Car Removal offers the following information on selling a car vs. trading in a car. Selling Vs. Trade-In: Which One Is the More Sensible Option? When selling a car, you have the option of selling the car to a private buyer or a car removal company like Vic Car Removal. There is quite a difference between the two buyers. Firstly, selling your car to a private buyer likely means costs and time to be invested on your (the car seller’s) part. When selling your car to Vic Car Removal, you have a cost-free sale for the car as you don’t need to make repairs to the engine or body, and you don’t have to advertise to find a buyer for the car. We buy cars in any condition and are your instant cash for car buyer. So, if you have a car with engine trouble or one that needs many repairs to get it back to driveable condition, selling it to a cash for car company can help you save money on repairs. We pay top Cash For Scrap Cars of any make and condition and provide services like free car removals that speed up the selling process and ensure that you don’t have to waste any money to get the car sold. Will A Trade-in Fetch You A Good Price? When trading in a car, you can expect a low price. Car dealers do not offer full value for vehicles because they are buying them for resale, which means they need to make a profit. What this means is that, if you have a car that needs to be fixed, trading it in might not be the best option for you. Alternatively, if your car is in near perfect condition, with little to no issues, you can expect to get a decent price for it by trading it in. But, even then, you would do well to try your luck finding a private buyer for the car instead of trading it in with the dealer. In conclusion, selling your car is the best option in most cases. Whether you sell it to a private buyer or a car removal company will depend on factors such as the condition of the vehicle, the market demand for the vehicle, and how much time, money and effort you are willing to invest in getting the car sold. 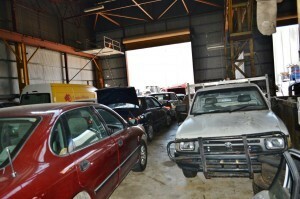 If a quick sale is your main concern, then a car removal company like Vic Car Removal is a great option to consider. But if you don’t mind waiting weeks or months to get your car sold for maximum price, then you can opt for a private sale. At Vic Car Removal, we provide free car valuations over the phone and online, so you know in minutes if we will make you an offer for your vehicle that you’d like to accept. When an offer is accepted, we’ll schedule a free Car Removal which includes putting the cash payment for the car into the hands of the seller. With Vic Car Removal, you have a buyer in minutes, so you have the cash to upgrade to a newer car.